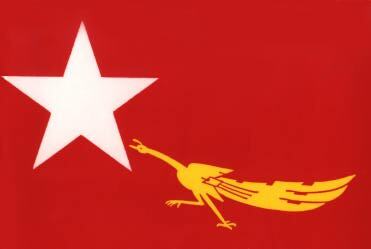 The Vigorous Burmese Student Warriors is a small band of Myanmar anti-government students, led by a man known as Johnny. The group is thought to be linked to the Maneeloy refugee resettlement site in western Thailand. On 01 October 1999 members of the previously unknown group, armed with AK-47 assault rifles and grenades, stormed the stormed Myanmar's (Burma's) Bangkok embassy and seized 38 hostages. In this first act of violence by Burmese exiles in Thailand, the gunmen demanded that Myanmar's State Peace and Development Council, or SPDC (formerly known as the State Law and Order Restoration Council, or SLORC) free all political prisoners and enter talks with the pro-democracy National League for Democracy (NLD). The leader of the NLD, Aung San Suu Kyi, is opposed to violence and issued a statement condemning the embassy raid. The five gunmen released their hostages on 02 October 1999 and were allowed to flee to the Thai-Burma border by helicopter in a deal with the Thai authorities. They found sanctuary with the God's Army breakaway faction of the Karen National Union, close to the Thai-Myanmar border. In December 1999 the group's leaders held a news conference at a God's Army rebel camp in Ka Mar Pa Law, inside Myanmar opposite Thailand's Ratchaburi province, 95 kilometers (59 miles) west of Bangkok.